Acupuncture is one of the most ancient and mysterious methods of healing. The earliest known text ‘The Nei Ching or Yellow Emperors Classic of Internal Medicine’ was written between the years 2697BC and 2596 BC. Evolving through time as different periods of history added to its refinement and development it finds itself in the 21st century, very much alive and contributing richly to the vast sphere of complementary medicine. Most major universities offer Bachelor degrees and Post Graduate studies in the field of Acupuncture and TCM and research findings are illuminating its tremendous healing efficacy. The Chinese philosophy underlying acupuncture and Chinese medicine theory is the relationship of man/woman to the universe. They perceive that the inner workings of human beings are reflected intimately in the universal relationships of energetic flow. One of the primary concepts of energetic flow is that of ‘chi’ or ‘qi’. ‘Qi’ is a type of subtle energy which permeates our environment. Modern physicist Hermann Weyl compares the ‘field theory of matter’ to the concept of ‘qi’ in Fritjof Capras Tao of Physics. According to the Chinese, ‘qi’ energy is absorbed into the human body via portals of entry on the skin. These portals are formed by the acupuncture points, which are inlets along a unique meridian system running deep below the surface to underlying organ structures. 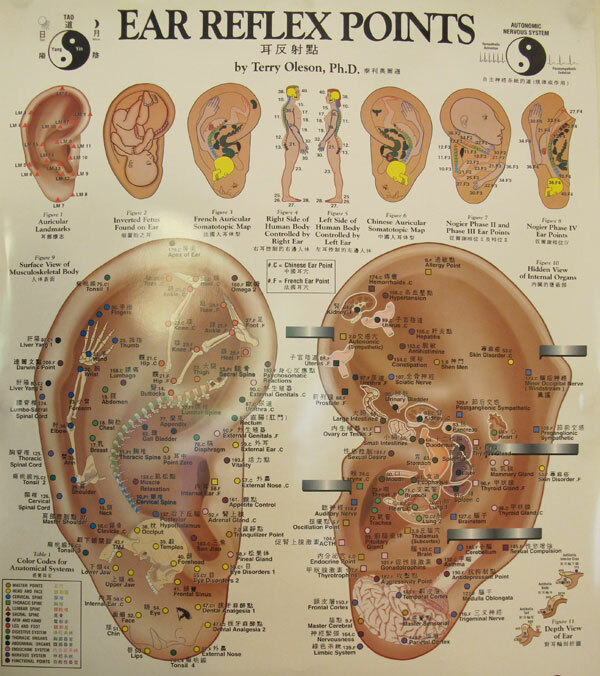 Each pair of meridians is associated with a separate organ system or function. The Chinese also viewed the universe and the microcosm of man/woman as an oscillation of the forces of ‘yin and yang’. The energetic flow of positive and negative, creative and destroying, light and darkness; the concept of duality is a dynamic equilibrium within a universe of constant change, a human body system constantly growing, evolving and dying. These changes follow cycles of nature and subtle innate biological rhythms within our bodies. These innate rhythms are also a reflection of the cyclical nature of the interaction between the five earthly elements of fire, air, water, earth and wood. In this way, simplistically speaking, the Chinese view the human body and understand illness as a separation ‘out of a way of harmony and balance’. As the earth becomes sick due to harmful farming methods, excessive toxic fumes and chemicals which like a cancer are destroying the fabric of the basic essential balance of nature, so too our bodies are becoming ill and a range of disease states are the by product of living outside of the realm of essential harmony with ourselves. We are living in an exciting age where the mind body connection has increased markedly. Modern physics is pioneering our awareness into the inner realm of Quantum Physics and what they are finding is paralleling what the ancient Chinese knew thousands of years ago. And that is, we are all connected to a greater web of life than we thought. Our minds, our thoughts, our emotions play into the sphere of biology, impact it and affect us on a cellular level. We are not just a physical organism separate to our minds, our emotions, to the world, to each other. We are complex structures and our health and well being is a force in motion…..disease is seen simplistically as a state of blockage and acupuncture and Chinese medicine help to re circuit and establish the flow of ‘qi’, blood, fluids, nourishment and inevitably innervate sluggish, systems, unblock toxic and burdened organs and refreshen and enliven our organism. In this way Acupuncture and Chinese Medicine provide a cutting edge, innovative alternative when our health is in an impaired state. 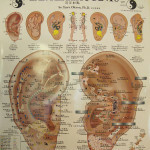 Click on the image to see larger version of the reflex points in the ear.